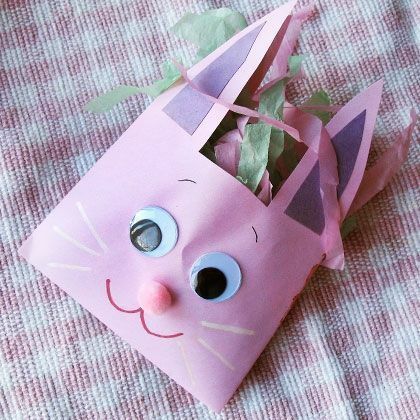 This adorable pink bunny envelope is the perfect place to stuff a whole host of Easter goodies for your little ones to discover. Just a few stray sheets of construction paper and some glue are all you need. You can do dozens of these in the space of an hour or two.